We utilize developmentally appropriate curriculums to support active learning, exploration and discovery, and social and emotional development in all of our students. 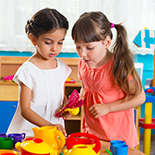 We offer several child care programs, including preschool, pre-kindergarten, summer camp, and more. We offer part-time, full-time, and drop-in programs. 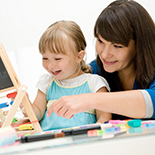 We have a passionate staff dedicated to the development of your kids. As parents and grandparents ourselves, we care for your children as if they were our own! We believe that you and your family will love Kidz Campus so much that during the first 30 days of regular attendance, if you are dissatisfied with our service for any reason, we will refund you up to one month's tuition. Why do Parents Love Kidz Campus? Highly educated and trained teachers. Affordable programs and flexible scheduling. Beautiful, modern, and bright classrooms. Parent’s Night Out, sibling vacation daycare, and more.